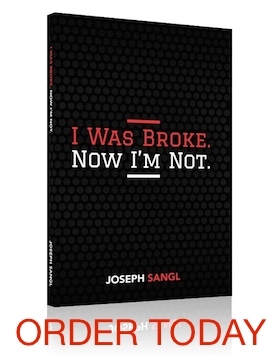 I am EXCITED and PUMPED about my new book for high school students, college students, and twenty-somethings – What Everyone Should Know About Money Before They Enter THE REAL WORLD. This book has been in the works for over a year. Over that time, I sought out feedback from YOU, from people I have taught, and from my own experience. The feedback was amazing, and I am SO EXCITED to have this resource to help us in our crusade to help others accomplish far more than they ever thought possible with their personal finances. With that introduction, I want to share a portion of one of the chapters with you. It is about “Credit Scores”. Your credit score will have an impact on your life. Credit scores also impact insurability. When you obtain auto, renter’s or homeowner’s insurance, the credit score directly impacts the insurance cost. The lower your credit score, the higher the insurance premium will cost. I have seen insurance premiums doubled because of poor credit. Credit scores also impact the ability to obtain a cell phone contract or an apartment lease. It can affect utility connections. Utility providers usually require much larger deposits from people who have low credit scores. If you have an excellent credit score, a deposit might be waived entirely. Credit scores can even impact your ability to obtain a job. More from this chapter tomorrow! 1) Main motto with credit: use it or lose it! It seems contradicting, but the sad truth is you have to use your credit, while maintaining it, in order to improve your score. 2) Never make just the minimal payment! 4) If you do close accounts, close the ones you opened most recently! Credit history, like everything else is based on activity over time…the more activity and the longer period, the better the rating. 5) If you make payments on more than one cc, make sure you apply most to the card with the highest interest to decrease that balance faster than others. 6) If you can’t pay it off at the end of the month, don’t use the credit card! “Charge and forget syndrom” is what I call it…. however, the wake up call later on will cost you big time! 7) Watch your income to debt ratio! This is a big and important indicator when it comes to credit ratings.